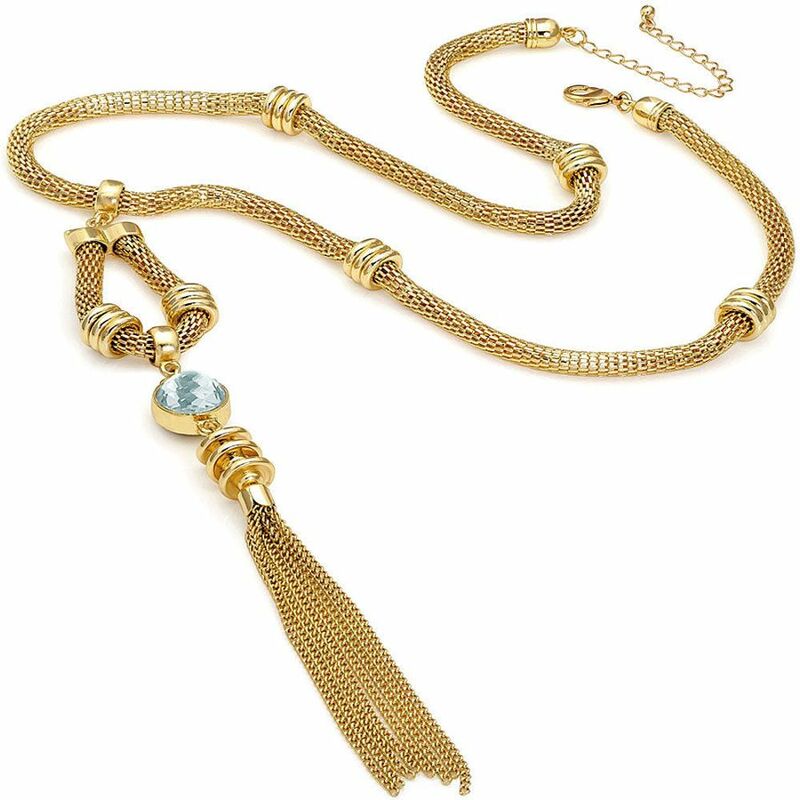 This glorious, golden Tassel is an extremely useful addition to your wardrobe all year round. During the cold months it gives sweaters, T-shirts and blouses an instant focal point and adds a touch of sophistication and glamour to chunky clothes that are essential to keeping you warm. And for the rest of the year, this slinky golden necklace looks superb between the lapel of a jacket or tux and divine over summer frocks or even a bikini - although we wouldn't recommend you swim in it! Created using a funky golden snake chain, with ornate golden tubes and a Tassel section topped with a multi-facetted crystal clear jewel, this Gold Tassel will quickly become your favourite go-to to complete any outfit. Also looks great layered into scarves! Size: Necklace 62cm (24½") long + 7cm (2¾") extension. Tassel section 20cm (8") dable chain for minor adjustments and a 20 cm tassel.